Travelling on a tight budget? No problem. London can offer you endless accommodation possibilities, in any district that you want. 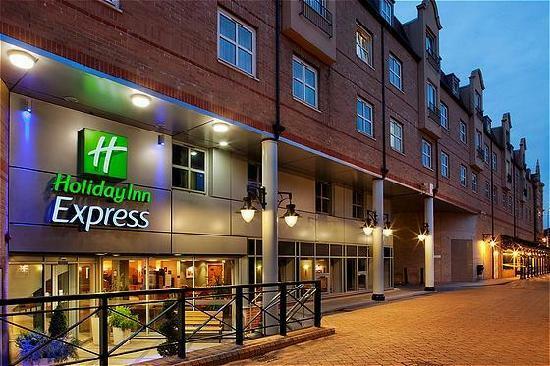 An example is the Holiday Inn Express London Hammersmith, suitable for a holiday or short business meeting. This hotel is not only a good choice when it comes to price, but also situated near important touristic objectives and meeting venues such as Olympia London, Hammersmith Apollo Theatre and the famous Westfield Shopping Centre. In case you want to see other sights and landmarks, you have accessible public and private means of transport to help you get there. Your staying is a guaranteed relaxing one, due to free Wi-Fi, breakfast and low cost parking, among other great facilities. As you can see, Holiday Inn Express London Hammersmith is a perfect option for you and your family, group of friends or business partners. In order to get a Stansted to Holiday Inn Express London Hammersmith Transfer by rail, you could take the train from Stansted Airport (every 15 minutes) via Tottenham Hale Underground (every 5 minutes) and Victoria Underground Station (every 5 minutes), followed by a 6 minute walk. This journey will take about 1 hour and 20 minutes. The second option is to take the bus from London Stansted (every 60 minutes) via Victoria (every 60 minutes), followed by a short walk of only 1 minute. This journey lasts about 2 hours and 8 minutes. A Stansted to Holiday Inn Express London Hammersmith Transfer by car can be done by taking the M11 motorway. Stansted Airport is at a 46.1 miles distance from Holiday Inn Express London Hammersmith. This journey will take about 1 hour and 5 minutes, without including traffic. A Stansted to Holiday Inn Express London Hammersmith Transfer with 247 Stansted Airport Transfer is going to take about 1 hour and 43 minutes, including rush hour traffic. 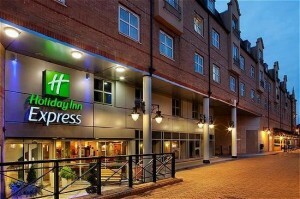 The price for a Stansted to Holiday Inn Express London Hammersmith transfer starts from 60 GBP.